A year and a half ago I called United’s San Francisco – Sydney New Years Eve service the unluckiest flight after smoke in the cockpit caused a diversion to Hawaii, and then a bird strike during the diversion took the plane out of service even the next day. However Wednesday’s American Airlines flight AA192 was its own kind of unlucky: a double diversion. 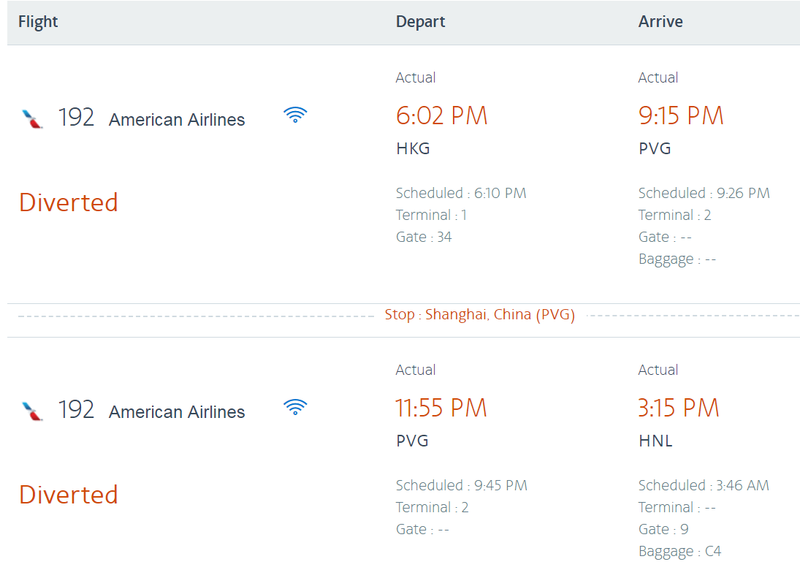 Flying Hong Kong – Shanghai – Honolulu – Los Angeles turns out only to be about an extra 1000 miles of flying, though it’s a lot of extra time on the ground. Not everyone onboard would be eligible for transit without visa in Shanghai, so the choice was really do they force some passengers to stay overnight in the terminal? It seems to me American made the right choice under the circumstances to fly to Hawaii. Since everyone on the flight was eligible to clear immigration in the U.S. no one would have to stay in the terminal, and American would be able to put everyone up in hotel rooms. American’s spokesperson says “we had already secured enough hotel rooms for all passengers” before the plane arrived in Hawaii. Passengers aren’t home yet. 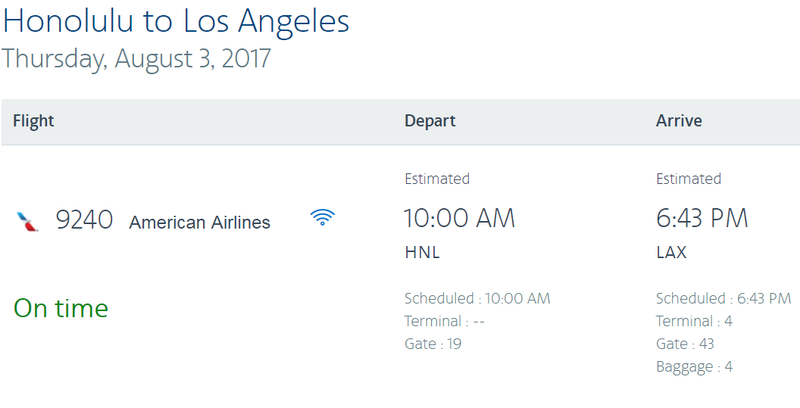 They’re continuing today Honolulu – Los Angeles as flight AA9240, a common practice to rename the flight so that there aren’t two AA192s in the air at the same time (as the next day’s flight will be enroute from Hong Kong). Some customers who were traveling to destinations beyond Los Angeles were rebooked onto other flights via Dallas and Phoenix, and others did manage to get rebooked earlier to Los Angeles. In total 88 passengers were re-accommodated on other aircraft, while the rest continue to LAX today. I don’t remember the last double diversion I noticed, it’s rare and unfortunate for all the passengers on the flight. But when you’ve got a medical emergency that takes precedence, and on ultra long haul flights you can easily face crew limits which are regulations in place for safety. So an airline makes the best decision possible when faced with tough choices, and this one is tough to second guess. Ultimately an airline-paid hotel room in Hawaii is a better place to spend the night than inside the terminal in Shanghai.